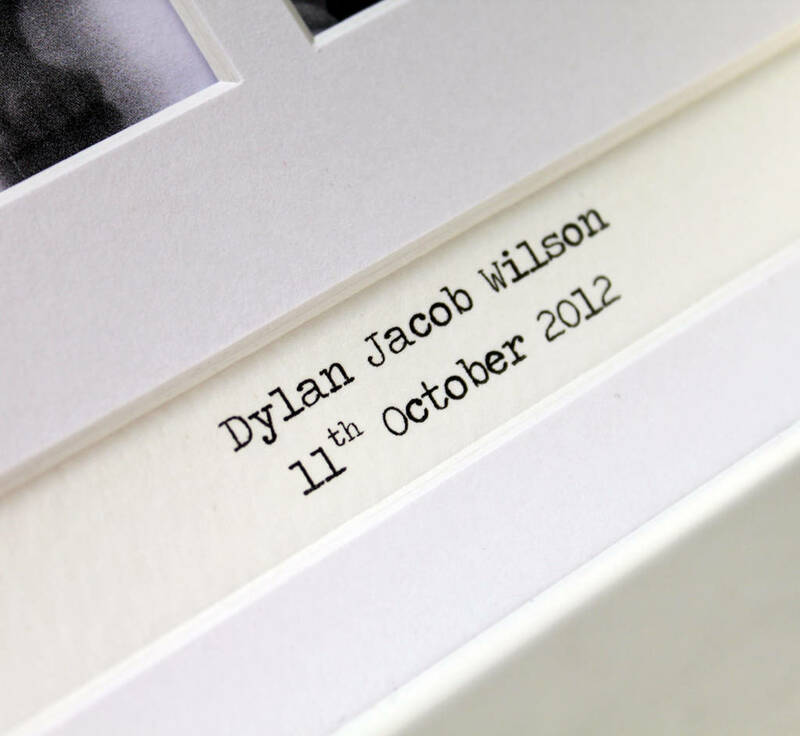 A beautiful Personalised My First Year Square Frame to capture your baby's special moments. 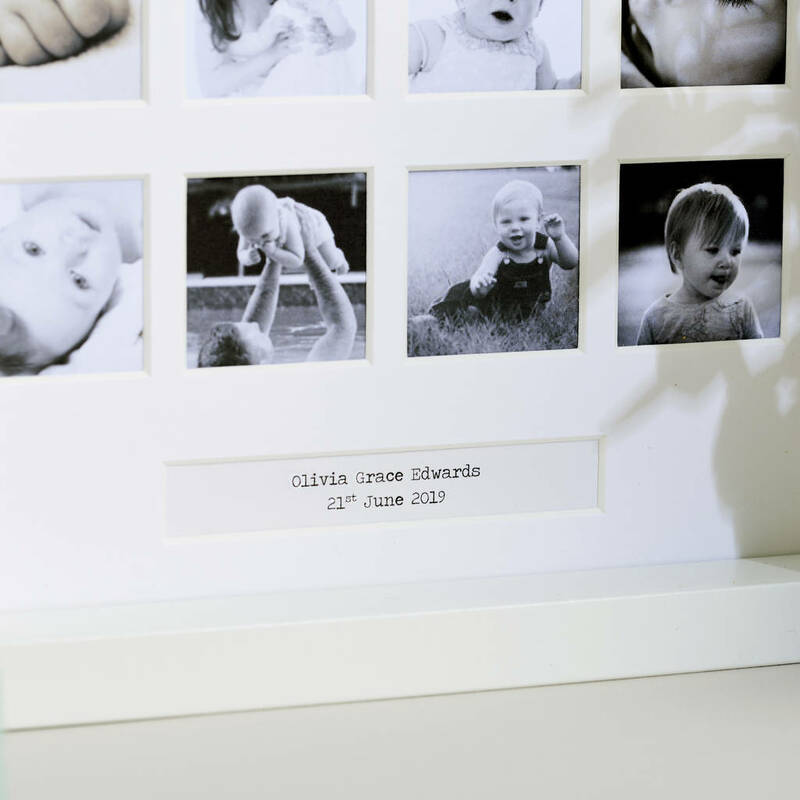 This beautiful frame is perfect for a Christening or new baby gift. 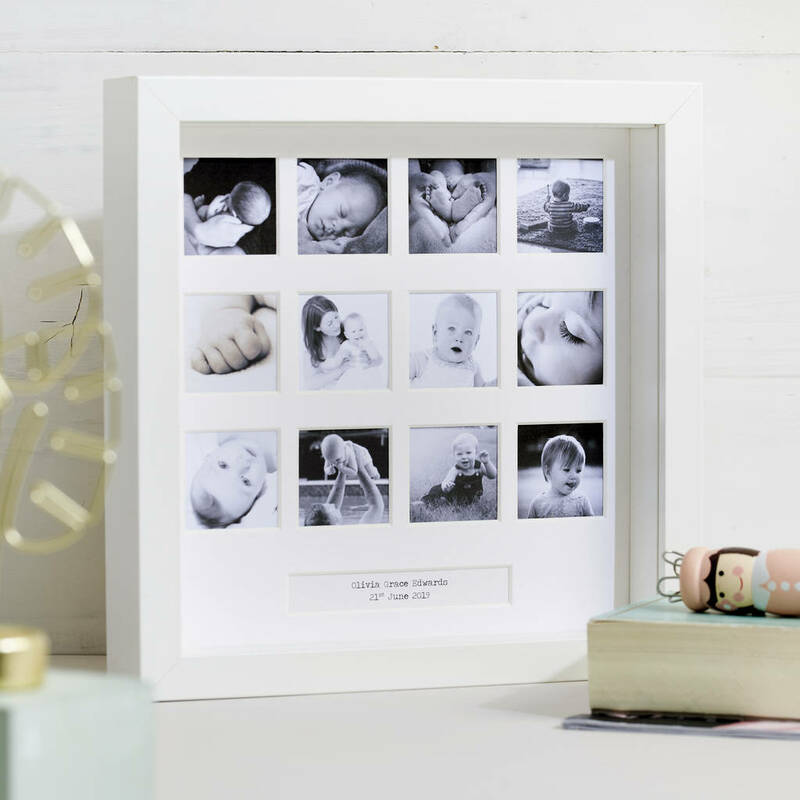 It has a simple yet elegant design and the neutral white colour will fit in with any decor. 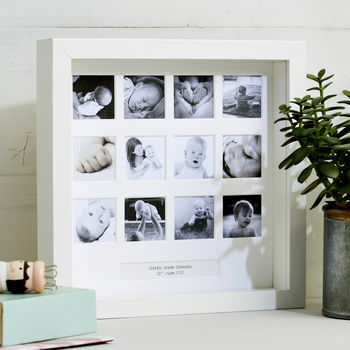 It has twelve square windows for you to put photographs and a text box at the bottom which we personalised with your message. 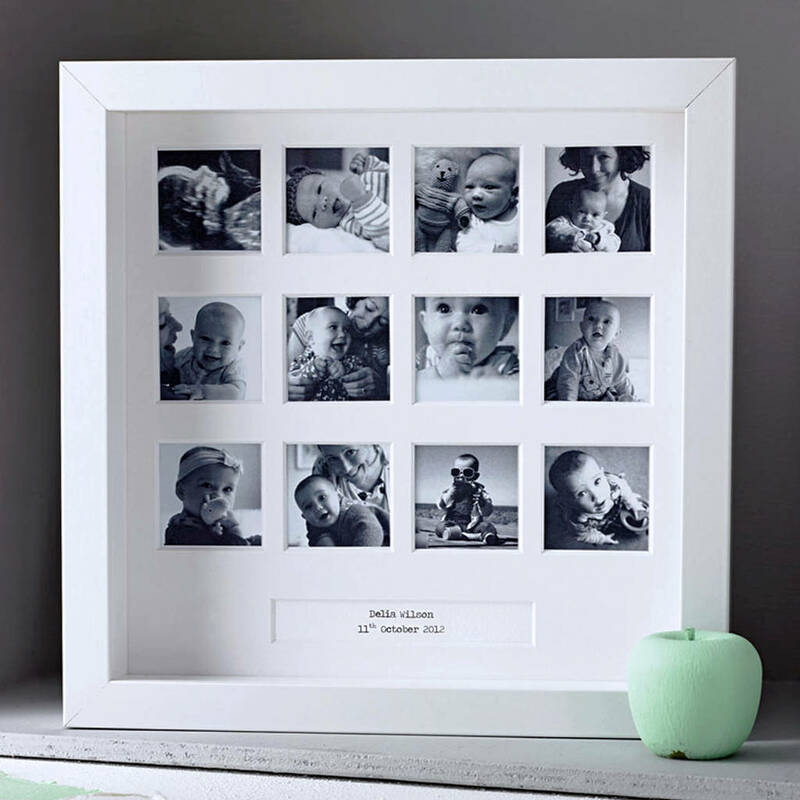 The box frame means it can easily be hung on the wall or left free standing. Frame approx 23cm x 23cm. Photo windows 4cm x 4cm.